Lake Land College employs a full-time, on-site athletic trainer that evaluates and treats injuries of Laker student-athletes. The trainer attends all practices and home games for all Laker athletic teams. In addition to designing and supervising rehabilitation programs and monitoring the progress of injured student-athletes, the athletic trainer plays an integral part in developing training and conditioning programs so that Laker student-athletes perform at their fullest potential. The athletic trainer manages the athletic training facility located in the north end of the Field House and works in the college Fitness Center. Athletic Trainer, Brian Morris, graduated from Neoga High School in 2008. He attended Lake Land College from 2008-2010 and transferred to Eastern Illinois University in 2010, where he was accepted into Athletic Training Program. 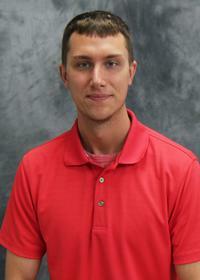 Morris graduated from EIU in winter of 2013 with a bachelor’s degree in athletic training. He is SASTM certified. Morris joined the Decatur Memorial Hospital family as the athletic trainer for Eisenhower High School and an assistant athletic trainer for Millikin University in the fall of 2014. During this time, he assisted with the BRIDGE program and ran sports conditioning camps for local area high schools until the summer of 2015. The opportunity to be part of the Laker Nation has brought him closer to family and a community that is second to none.